The first e-book in the series, The Digital Transformation Opportunity, contains great insight into the market and digital maturity of customers. It describes business attributes needed for successful transformation and how partners have aligned business strategy with cloud tech (such as AI and blockchain) to improve operations and monetization. By 2019, IDC predicts that 40 percent of digital initiatives will be supported by AI, big data, and IoT. 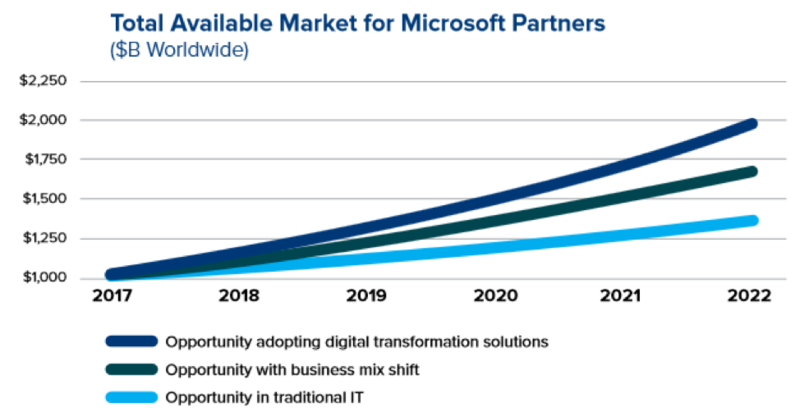 Share with the Microsoft Partner Community about your digital transformation here.